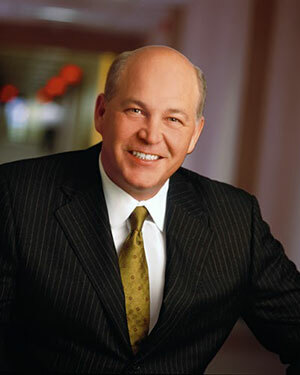 Fettig is the former Chairman and Chief Executive Officer of Whirlpool Corporation. He served as Chairman from 2004 to December 2018, and Chief Executive Officer from 2004 to October 2017. Prior to this, he was President and Chief Operating Officer from 1999, Executive Vice President and President Europe and Asia from 1994 and also held various other executive roles including Vice President, Group Marketing and Sales, North American Appliance Group; Vice President, Marketing, Philips Whirlpool Appliance Group of Whirlpool Europe B.V., Vice President, Marketing, KitchenAid Appliance Group, and Director, Product Development. Fettig serves on the Board of Directors of the Indiana University Foundation, and is a PGA REACH Trustee. Fettig brings global business and leadership experience as the former Chairman and Chief Executive Officer of Whirlpool Corporation. He has extensive experience and knowledge of international business operations, manufacturing, marketing, sales and distribution which is particularly important given the global presence and nature of the operations of the company. Fettig also has extensive experience and knowledge of consumer dynamics, branded consumer products, and end-user markets and servicing relevant to the business operations and focus of the company. Fettig served on the DowDuPont Inc. Board of Directors from September 2017 to April 2019, the DowDuPont Materials Advisory Committee from September 2017 to April 2019, and The Dow Chemical Company Board of Directors from 2003 to August 2017. 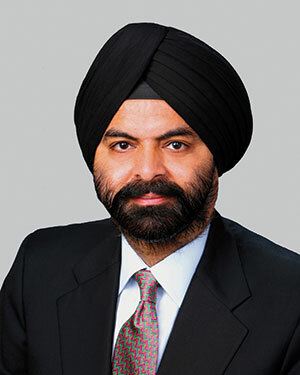 Banga is the President and Chief Executive Officer of Mastercard Incorporated and a member of its board of directors. Prior to Mastercard, Ajay served as chief executive officer of Citigroup Asia Pacific. During his career at Citigroup, he held a variety of senior management roles in the United States, Asia Pacific, Europe, Middle East and Africa. He also oversaw the company’s efforts in microfinance. Banga began his career at Nestlé, India, where for 13 years he worked on assignments spanning sales, marketing and general management. He also spent two years with PepsiCo, where he was instrumental in launching its fast food franchises in India as the economy liberalized. Ajay is a co-founder of The Cyber Readiness Institute, first vice chairman of the International Chamber of Commerce and a trustee of the United States Council for International Business. Ajay is a founding trustee of the U.S.-India Strategic Partnership Forum, a member of the U.S.-India CEO Forum and is Chairman Emeritus of the American India Foundation. Ajay is also a co-chair of the Partnership for New York City. He served as a member of President Obama’s Commission on Enhancing National Cybersecurity. He is a past member of the U.S. President’s Advisory Committee for Trade Policy and Negotiations. Ajay serves as a director of the Business Roundtable and is a member of the Business Council. He is a member of the board of overseers of the Weill Cornell Medical College and the board of governors of the American Red Cross. Banga has extensive global payments experience as well as a deep focus on innovation and information security. Banga provides valuable perspective on engaging and partnering with regulators, due to his experience as Mastercard Chief Executive Officer and as a member of multiple business advocacy organizations and government sponsored committees. He adds strong consumer insight from his brand marketing experience at several global food and beverage companies. Banga serves on the Mastercard Incorporated Board of Directors (since 2010). Banga served on the DowDuPont Inc. Board of Directors from January 2019 to April 2019, the DowDuPont Materials Advisory Committee from September 2017 to April 2019, and The Dow Chemical Company Board of Directors from 2013 to August 2017. Barton is the John G. Kirkwood and Arthur A. Noyes Professor of Chemistry and Norman Davidson Leadership Chair of the Division of Chemistry and Chemical Engineering at the California Institute of Technology, where she has been a member of the faculty since 1989. Barton began her term as chair of the Division in 2009, and held the Arthur and Marian Hanisch Memorial Professorship from 1997 to 2016. Prior to joining Caltech, Barton was Assistant Professor of Chemistry and Biochemistry at Hunter College, City University of New York; Assistant, then Associate, and then Professor of Chemistry and Biological Sciences at Columbia University. Barton is the recipient of the 2010 National Medal of Science, the highest honor bestowed by the United States government on scientists, for her discovery of new chemistry of the DNA helix, and the 2015 Priestley Medal, which is the highest honor bestowed by the American Chemical Society. She has been named a MacArthur Foundation Fellow (1991), and member of the American Academy of Arts and Sciences (1991), American Philosophical Society (2000), National Academy of Sciences (2002), National Academy of Medicine (2012), and Royal Society of Chemistry (2014). She has received numerous awards including the NSF Waterman Award (1985), the Gibbs Medal (2006), a gold medal from the American Institute of Chemists (2015) and the Centenary Prize (2018). Barton received the 2010 National Medal of Science from President Obama. In 2006, Barton was named an Outstanding Director by the Outstanding Director Exchange (ODX), and in 2013, she received the Director of the Year Award from the Forum for Corporate Directors. Barton possesses strong leadership, research and teaching experience, as well as extensive knowledge in the chemicals industry to support the Company’s research and innovation focus. Demonstrated by her nationally recognized leadership in the medical and chemical fields as well as active involvement with major science and technology organizations, Barton has developed broad science expertise which has equipped her to advise the Board. 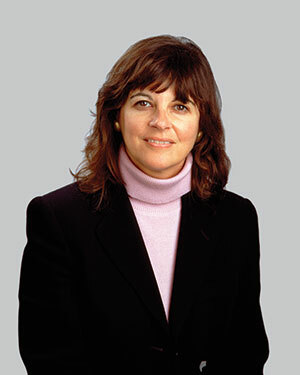 Furthermore, Barton has received numerous awards and honors for her research as noted above and has been a notable contributor to the chemical community. Barton also serves on the Gilead Sciences, Inc. Board of Directors (since February 2018). Barton served on the DowDuPont Inc. Board of Directors from July 2018 to April 2019, the DowDuPont Materials Advisory Committee from September 2017 to April 2019, and The Dow Chemical Company Board of Directors from 1993 to August 2017. 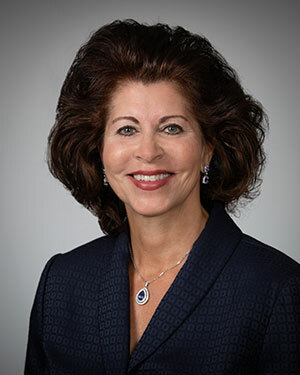 Bell is the former Executive Vice President, Corporate President and Chief Financial Officer of The Boeing Company, an aerospace company and manufacturer of commercial jetliners and military aircraft. 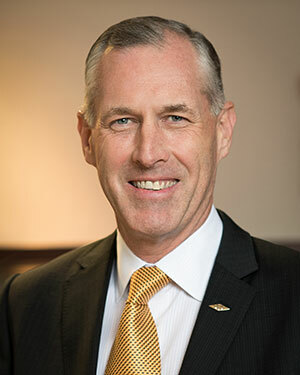 While Chief Financial Officer of Boeing, he oversaw two key Boeing businesses: Boeing Capital Corporation, the company’s customer-financing subsidiary, and Boeing Shared Services, an 8,000 person, multi-billion dollar business unit that provides common internal services across Boeing’s global enterprise. Bell joined Rockwell International, a predecessor of The Boeing Company, in 1972, and subsequently held various executive positions including Executive Vice President, Corporate President and Chief Financial Officer from 2008 to 2012, and Senior Vice President of Finance and Corporate Controller from 2000 to 2003. Other previous positions include Vice President of Contracts and Pricing for Boeing Space and Communications, 1996 to 2000; Director of Business Management of the Space Station Electric Power System at Boeing Rocketdyne Unit, 1992 to 1996. Bell possesses global business and leadership experience in industrials and in a highly regulated industry as former Chief Financial Officer of The Boeing Company. Bell also has a strong expertise in finance, accounting, risk management and controls. Additionally, Bell’s experience on other public company boards provides him with strong knowledge in corporate governance. He is experienced in strategic planning, technology, regulatory issues and has developed significant expertise in manufacturing. Bell is a member of the Apple, Inc. Board of Directors (since October 2015), CDW Corporation Board of Directors (since March 2015) and JPMorgan Chase & Co. Board of Directors (since November 2011). Bell served on the DowDuPont Inc. Board of Directors from September 2017 to April 2019, the DowDuPont Materials Advisory Committee from September 2017 to April 2019, and The Dow Chemical Company Board of Directors from 2005 to August 2017. Bush is Chairman of Northrop Grumman Corporation, a global aerospace and defense technology company since 2011. Bush previously served as Northrop Grumman’s Chief Executive Officer from 2010 through 2018, President from 2006 to 2017, and prior to 2010, as the company’s Chief Operating Officer and Chief Financial Officer. Prior to the acquisition of TRW by Northrop Grumman in 2002, Bush had served as President and Chief Executive Officer for TRW’s UK-based global Aeronautical Systems. He joined TRW in 1987 and prior to joining TRW, he held engineering positions with both the Aerospace Corporation and Comsat Labs. Bush serves on the boards of several non-profit organizations including Conservation International, the Inova Health System and the USO Board of Governors. He is a member of the National Academy of Engineering. Bush brings significant leadership experience, including as a public company Chief Executive Officer, with a strong background in the industrials sector and in engineering. Bush is also a proven operator as a former Chief Operating Officer and is also experienced in finance and accounting, environmental and safety issues, governance, governmental and stakeholder relations, human resources, information technology, strategic planning and transportation. Bush serves on the General Motors Board of Directors (since February 2019) and the Northrop Grumman Corporation Board of Directors (since 2009). Bush served on the DowDuPont Materials Advisory Committee from August 2018 to April 2019. Davis is Chief Executive Office of Make-A-Wish America. 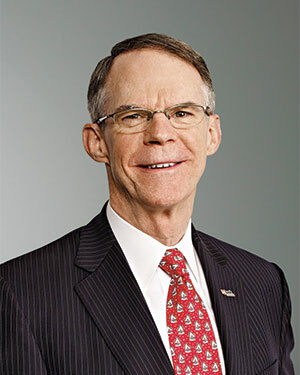 Davis is the former Executive Chairman and Chief Executive Officer of U.S. Bancorp, parent company of U.S. Bank, the fifth largest commercial bank in the United States. He served as Executive Chairman from December 2007 to April 2018, Chief Executive Officer from December 2006 to April 2017, President from October 2004 to January 2016, and Chief Operating Officer from October 2004 to December 2006. Davis was an Executive Vice President at Bank of America and Security Pacific Bank prior to joining Star Banc Corporation, which was one of U.S. Bancorp’s legacy companies. During his career, he has served as Chairman of the Financial Services Roundtable, Chairman of the Consumer Bankers Association, Chairman of The Clearing House, and representative for the Ninth District of the Federal Reserve, where he was President of its Financial Advisory Committee. Additionally, he currently serves as a director of the Mayo Clinic. He was also one of three executive co-chairs of the 2018 Minnesota Super Bowl Host Committee. Davis brings global business and leadership experience as a former Chairman and Chief Executive Officer of a public company, particularly in industries subject to extensive regulation. He has extensive experience and knowledge of international business operations, financial services and capital allocation which is particularly important given the global presence and financial aspects of the Company. Davis has additional public company board experience across the financial services and medical industries resulting in additional corporate governance and compensation experience, financial expertise and board leadership experience. Davis also serves on the Mastercard Incorporated Board of Directors (since June 2018), and the Xcel Energy Board of Directors (since 2006). Davis served on the DowDuPont Inc. Board of Directors from July 2018 to April 2019, the DowDuPont Materials Advisory Committee from September 2017 to April 2019, and The Dow Chemical Company Board of Directors from 2015 to August 2017. Hinman is the former Chairman, President and Chief Executive Officer of CH2M HILL, an engineering and consulting firm focused on delivering infrastructure, energy, environmental and industrial solutions for clients and communities around the world. 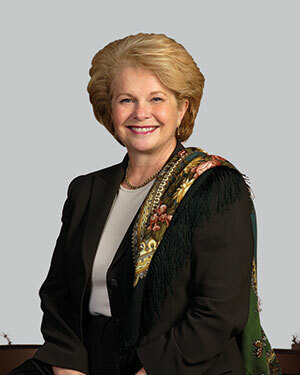 Hinman was appointed Chairman in September 2014, and President and Chief Executive Officer in January 2014, and served until September 2014 when the firm was acquired by Jacobs Engineering. Prior to these positions, Hinman served as President of CH2M’s International Division from 2011 until 2014, and she served on CH2M’s board of directors from 2008 through 2017. Hinman is also Treasurer of Catalyst, a leading nonprofit organization accelerating progress for women through workplace inclusion. She has also served on the Executive Committee of the Business Roundtable, chairing its Infrastructure Committee, and a member of the Denver National Western Authority board for 2018. Having served as Chairman, President, and Chief Executive Officer of CH2M HILL Companies, Hinman brings senior management and leadership capabilities, including deep experience with global manufacturing companies. Hinman’s experience in a global engineering consulting business provides her with a unique knowledge of environmental and sustainability issues globally. Hinman also brings international operations, strategic planning, finance, accounting, supply chain, technology, marketing and inclusion expertise to the Board. Hinman is a member of the International Paper, Inc. Board of Directors (since October 2017). 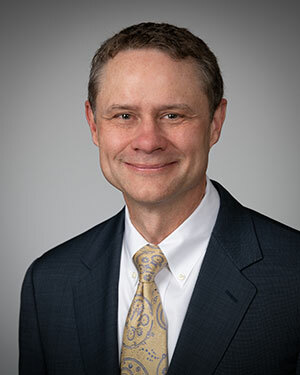 Hinman served on the DowDuPont Materials Advisory Committee from July 2018 to April 2019. Shaw is the former Group Executive for Public Policy and President, Duke Nuclear. She retired from Duke Energy Corporation in April 2007 and served as Executive Advisor to the company until April 2009. She had previously served as President and Chief Executive Officer, Duke Power Company; and as Executive Vice President and Chief Administrative Officer, among other roles. She also served as President of The Duke Energy Foundation from 1994–2003. 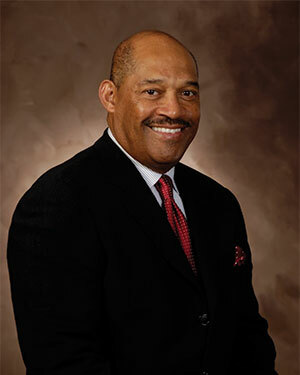 Prior to joining Duke Energy in 1992, Shaw was a leader in community college education, serving as President of Central Piedmont Community College in Charlotte, NC and as President of El Centro College in Dallas, TX. Shaw is an active civic and industry leader. She served on the board of trustees of the University of North Carolina at Charlotte, a research university with over 20,000 students. She was the founding board chair and a board member of The Carolinas Thread Trail, which is developing an interconnected trail system in Piedmont North and South Carolina. She served on the board of visitors for Duke University’s Nicholas School of the Environment and is a director of the Foundation of the Carolinas. Shaw served on the executive committees for the Institute of Nuclear Power Operators and the Nuclear Energy Institute. Shaw brings global business and leadership experience from her roles at Duke Energy Corporation and Duke Power Company, including a focus on public policy. She additionally brings leadership experience at academic institutions, from her prior roles as President at Central Piedmont Community College and El Centro College. Shaw has deep knowledge of and experience within the energy and power industries, including in nuclear, coal and natural gas. Shaw also has extensive board experience, which provides additional corporate governance experience and financial expertise. Shaw serves on the DTE Energy Board of Directors (since 2008) and the SPX Corporation Board of Directors (since 2015). Shaw served on the DowDuPont Inc. Board of Directors from September 2017 to April 2019, the DowDuPont Materials Advisory Committee from September 2017 to April 2019, and The Dow Chemical Company Board of Directors from 2005 to August 2017. Yohannes is the former U.S. Ambassador to the Organisation for Economic Cooperation and Development (OECD), appointed in 2014, an international forum promoting economic growth, prosperity, sustainable development and energy security through better policies. From 2009 to 2014, Yohannes served as Chief Executive Officer of Millennium Challenge Corporation, the independent U.S. Government foreign aid agency for poverty. 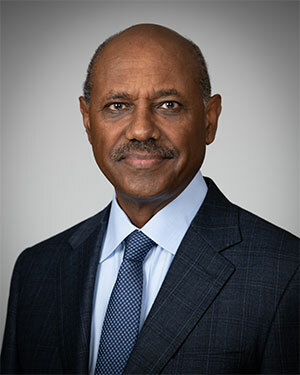 Prior to his U.S. Government service, Yohannes was President of M&R Investments, a firm specializing in financial services and the renewable energy sector, and a leader in the financial services industry, working in various roles including Vice Chairman and member of the management committee of U.S. Bank, President and Chief Executive Officer of Colorado National Bank, and Executive Vice President of Security Pacific Bank (now Bank of America). Yohannes serves as a Director of Project C.U.R.E. and the National Jewish Hospital. He has been a member of the Council on Foreign Relations since 2013. Previously, Yohannes served on the Denver Art Museum Board of Directors, the Smithsonian National Board, and the Board of Directors of Media One (now Comcast). Yohannes has a successful record of operation execution and corporate transformation as Chief Executive Officer and entrepreneur. He provides the Board valuable strategic insight from prior work in government services. Additionally, Yohannes is passionate about protecting the environment and provides experience in effectively addressing environmental issues. Yohannes serves on the Xcel Energy Board of Directors (since March 2017). Yohannes served on the DowDuPont Materials Advisory Committee from July 2018 to April 2019.